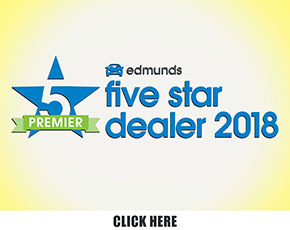 OffLeaseOnly Wins Edmunds Five-Star Premier Dealer Award! Off Lease Only has done it again winning the prestigious Edmunds Five-Star Premier Dealer Award! For the fourth year in a row, three of Off Lease Only’s stores have been named Edmund’s Five-Star Premier Dealers based on customer reviews. Nationally, only 25 auto dealerships qualified for the award, which requires the stores to have more than 150 five-star reviews on the Edmunds website over a two-year period. Five stars is the highest rating a customer can give a dealership. To have three out of 25 total awards nationally is truly a major accomplishment. More than 15,000 car dealerships are in the running for this prestigious award! The three dealerships that received the award for each having over 150 five-star reviews are those in the West Palm Beach area, Miami and Orlando. The newest store in the Fort Lauderdale area has not been open long enough to receive the recognition, but the team is dedicated to work hard to attain this accolade for 2019. To put the honor in prospective, this elite group of premier dealers outperform 99.7 percent of the other dealers nationwide who partner with the online automotive industry resource, according to Edmunds. Off Lease Only’s reputation management team cares about every customers happiness! 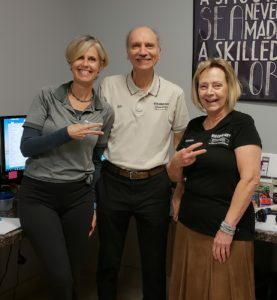 Dibble and her team of Ed Haskell and Robin DeLuca are responsible for responding to every review Off Lease Only receives – not just on the Edmunds site but on others as well – and for helping to ensure any problems identified in reviews are quickly addressed. In all, Dibble says, she and her team respond to about 4,000 reviews each month. Dibble said the award from Edmunds is especially important because it strengthens the company’s reputation as a value resource for anyone looking for a new or used car. “This is quite a feather in our cap,” she said. Click the image to watch the video Edmunds did on our customers! The recognition and the fact that so many customers, both in Florida and nationally, have given five-star reviews to Off Lease Only also sends a message to prospective buyers. “It’s just another reason why you can feel confident shopping with Off Lease Only, whether you’re around the block or across the country,” said Fischer. With outstanding customer service, great prices and an amazing selection of an estimated 5,000 used cars, trucks, SUV’s and vans at any given time, it’s no wonder Off Lease Only is the nation’s largest volume independent used car dealer. 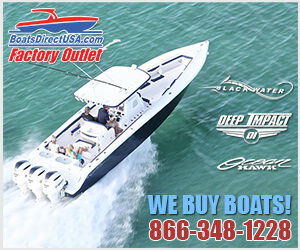 To find the location nearest you, simply click the banner below. 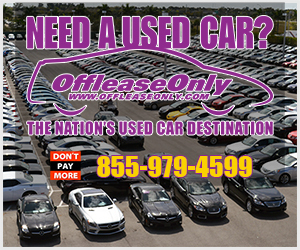 ← Previous Story Off Lease Only Offers Used Vehicle Prices Thousands Below Retail!